The weather has become more agreeable, which means the weekend was made for moving. 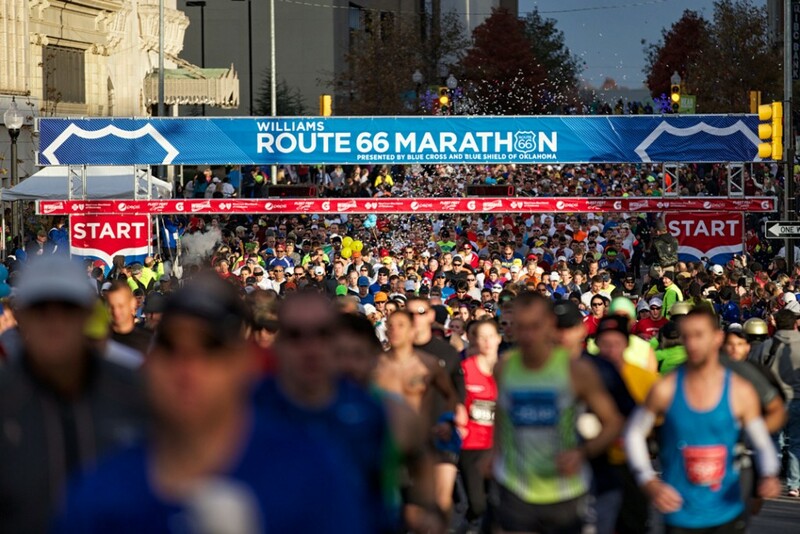 The Williams Route 66 Marathon begins Friday, Nov. 21, with the Health, Fitness & Sustainability Expo from 11 a.m. to 8 p.m. at the Cox Convention Center, 100 Civic Center, in downtown Tulsa. The expo continues Saturday, Nov. 22, but runners and spectators will want to get an early start that day for the 5k run/walk along with the Mascot Dash. Events on Saturday start at 8 a.m. The 26.2-mile Williams Route 66 Marathon, half marathon and marathon relay take place at 8 a.m. on Sunday, Nov. 23. Sunday’s races will begin and finish at the Guthrie Green, 111 E. Brady St., in the Brady Arts District. Those wishing to take a turn at the marathon and other events still have time – registration continues through Nov. 23. For more, go to www.route66marathon.com.